Despite the uproar about a potential position move for Dustin Pedroia this week, that won’t be necessary. General manager Theo Epstein and the Red Sox found their new shortstop - yet again. This time, the position falls to Marco Scutaro, the 34-year-old late of the Blue Jays. The Sox have agreed to two years of Scutaro’s services, pending a physical, with the deal including an option for a third year, according to a baseball source. It was first reported on a Venezuelan newspaper website, liderendeportes.com, last night. 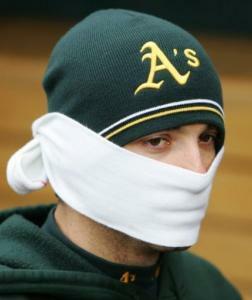 The Sox have spent the week working out the details with Scutaro, requesting his medical reports. Scutaro missed the final two weeks of the 2009 season because of plantar fasciitis. Scutaro worked out for Allard Baird, Epstein’s assistant, Tuesday in Florida, according to a team source. Scutaro hit .284 with 12 home runs and 60 RBIs for the Blue Jays last season. He also had a .379 on-base percentage and slugged .409, each career highs. Combined, Sox shortstops had a .235 average (26th in the majors), a .297 OBP (25th), and slugged .358 (20th) in 2009. Epstein was vocal after the end of the season about Jed Lowrie’s need to prove himself at the major league level, saying the Sox could not count on him to be their everyday shortstop at this point. Scutaro is an above-average fielder, according to Fangraphs.com. His Ultimate Zone Rating was 0.9 at shortstop last season, just above average. Julio Lugo came in at -13.4 last season, and Alex Gonzalez was at 6.7. Scutaro’s signing was made more palatable Wednesday when reliever Billy Wagner signed with the Braves. The departure of the Type A free agent gave the Sox Atlanta’s first-round draft pick, making it easier for the Sox to give up their first-round pick to the Blue Jays to pick up Scutaro. For the shortstop, his old home in Toronto was less desirable because the Blue Jays signed Gonzalez and versatile infielder John McDonald. With the Sox grooming their likely shortstop of the future, signing Jose Iglesias this summer, the team was interested in getting a short-term deal to allow the 19-year-old Inglesias to mature in the minors. The Sox lost a second reliever to the Braves in two days. Wagner signed with Atlanta Wednesday, and yesterday Takashi Saito also decided to take his services to Atlanta. The Braves signed the 39-year-old Saito to a one-year, $3 million deal to be a setup man for Wagner. Saito spent one year with the Sox, compiling a 3-3 record with a 2.43 ERA in 56 appearances. The Sox had already declined a $6 million option on Saito.